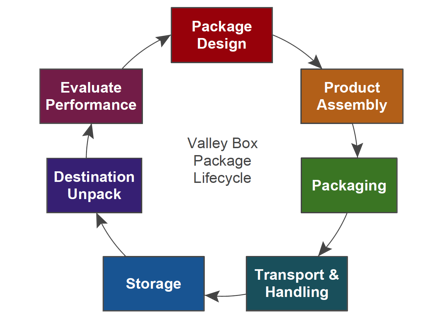 Valley Box Company, a San Diego crating manufacturer, welcomes you to this 7-part series exploring the package lifecycle with a focus on matching you with the right packaging method for your product. You have a few options moving forward. Voracious Reader: Below you'll find a blog-transcript of this third section in the Package Lifecycle. Press Play: If you want to sit back, relax and let us do the talking watch the video of the presentation below! The next step in the packaging lifecycle is the actual physical act of Packaging. Packaging material, in general, is bulky and usually requires floor space for inventory. Think about the different types of packaging materials you might be storing currently. Sometimes the wisdom of purchasing a larger volume for price quantity breaks, may be lost due to additional handling or the cost of storage. A balance of inventory and price can be achieved through various planning implementations. VMI or a Vendor Maintained Inventory program operates on a minimum maximum inventory plan that is monitored by the supplier. Volume Adjustments can be altered based on production demands and can reduce the chance of over stocking. JIT or Just In Time is a coordinated plan that provides the suppler a time line to support the value chain of supplies. This helps with storage space, overstocking, and the uncertainty of potential interruptions of supplies. Also consider racks for vertical storage and collapsible wooden shipping crate, both can improve space usage in the packaging department. This leads us to the story of one Non-Profit Emergency Relief Agency that had limited storage space. Challenge: They required a compact rapid response wood shipping container for food and medical supplies that was easily assembled and disassembled by a single volunteer with no tools. This organization has to act quickly if they’re going to save lives. 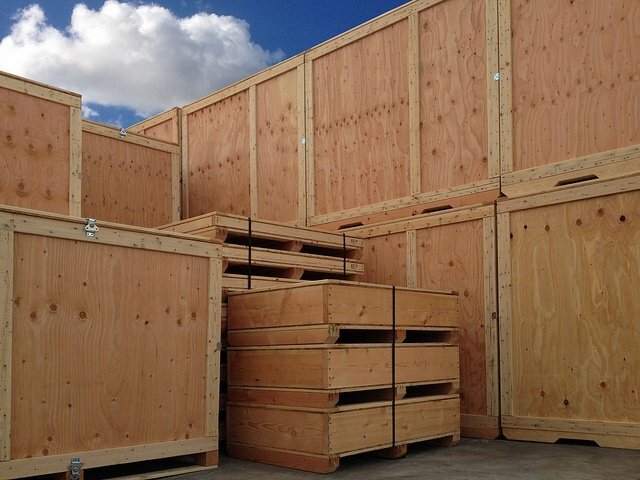 By having the containers on-hand, they’re able to react faster and expedite the packing & amp; shipping to get the supplies where they’re needed most. 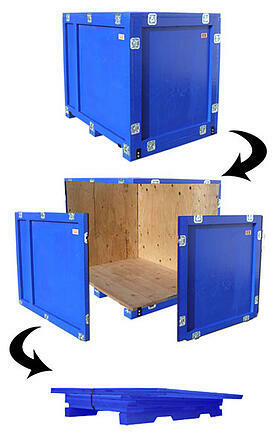 Solution: Valley Box developed a collapsible-reusable-box that when un-assembled, reduced storage space requirements by 74%, while maintaining an ease of use that was safe and simple to understand by the end user. Because of its collapsed size, Shipping costs on the return trip were decreased as well. Let’s talk about the Packaging Department for a moment: the 3 factors that affect your packaging department are: Labor, Storage, and actual packaging Time. It's important to keep track of how each of the factors effect the end of your production line. Rather than setting aside large areas for storing packaging goods, consider optional methods like; a Vendor Maintained Inventory or a Just In Time scenario. The same thing applies to your labor force performing the pack job. If you do not have a dedicated trained labor force packaging the product, consider hiring a specialist to perform the final pack. Your employees can go back to doing what they do best, and a pack crew will take care of the rest. Another consideration is to have your San Diego crating vendor evaluate your current methods of packaging, which may result in a design change that would increase the productivity of your pack time. Here’s a case where over packaging had a real cost impact. This Machining Company has a Central and Southern California location that requires parts to be shipped back and forth. We were invited to review their package design and packing process. We discovered that the individual long term preservation packaging they were performing was unnecessary due to the short transport time. Challenge: Their product was durable and just needed adequate spacing between each part so the machined surfaces didn't touch. Solution: A multi-pack reusable container provided adequate spacing eliminating the unnecessary individual packaging. Outcome: The result was a 90% decrease in packing labor and material. Additionally this also improved the turn around time on part completion. With recycling initiatives being implemented and in this age of being leaner, greener, and more efficient, some customers may have specific packaging requirements to meet the needs of the end user. Recycle: Implement a packaging recycle plan. Almost all packaging materials comes in recycled alternatives. Your packaging supplier can provide choices. One such company who focuses on eliminating packaging waste is Costco, who distributes a 16 page Packaging Specification Packet to all suppliers. This has been instrumental in lowering costs and ensuring that products arrive to the warehouse undamaged. The Packet includes Performance Requirements, Stacking Strength, Pallet Load Configurations, and more. Costco has these specifications in order to drive out costs by eliminating; excessive packaging, handling, and corrugated waste. We at Valley Box completely agree with these types of policies, and we encourage you to conduct packaging reviews and make your own guidelines that make sense for you.